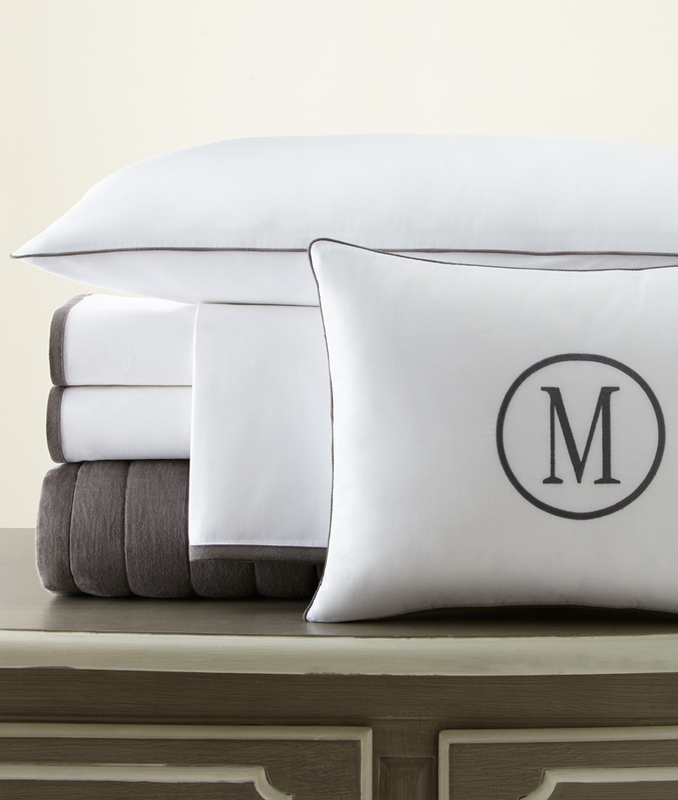 Our luxurious 260 thread count Long Staple Cotton Percale with linen tape detail. with your choice of tape edge or pipe color. Coordinates with our Spoleto Towels and Tissue Box Covers.